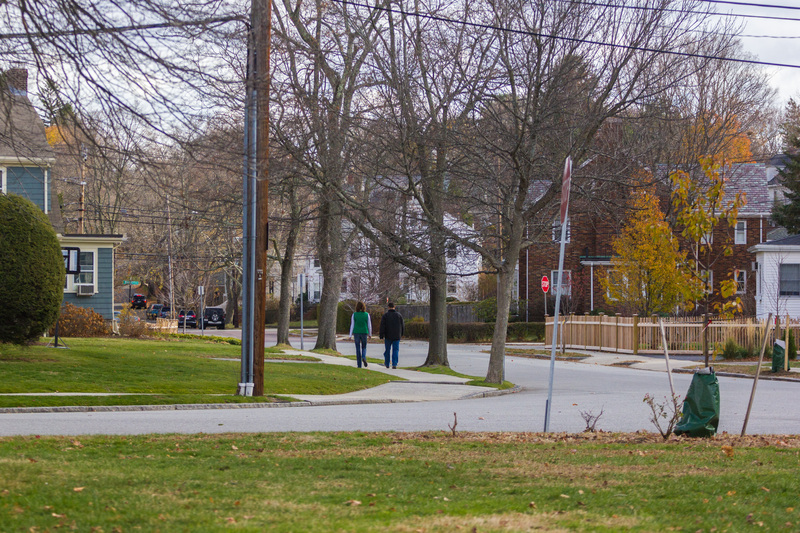 A couple out for a walk down Wildwood Avenue before Thanksgiving dinner. 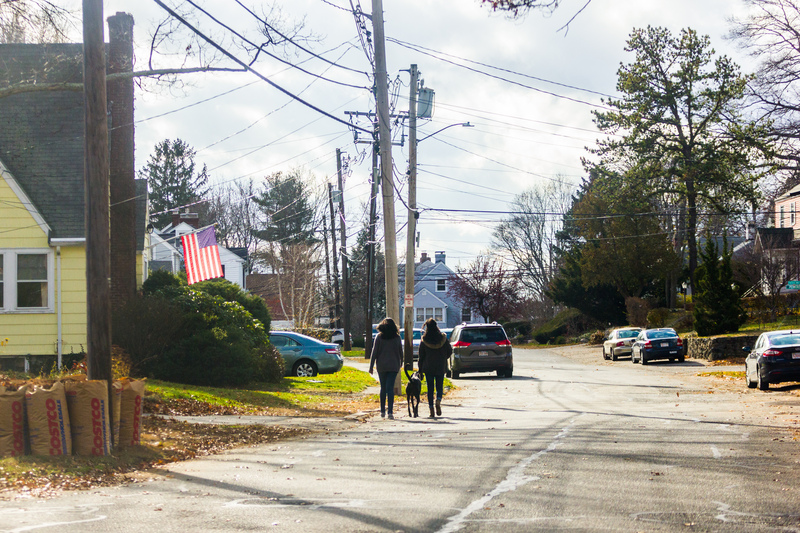 Women walk a dog along GrandView Road on Thanksgiving afternoon. 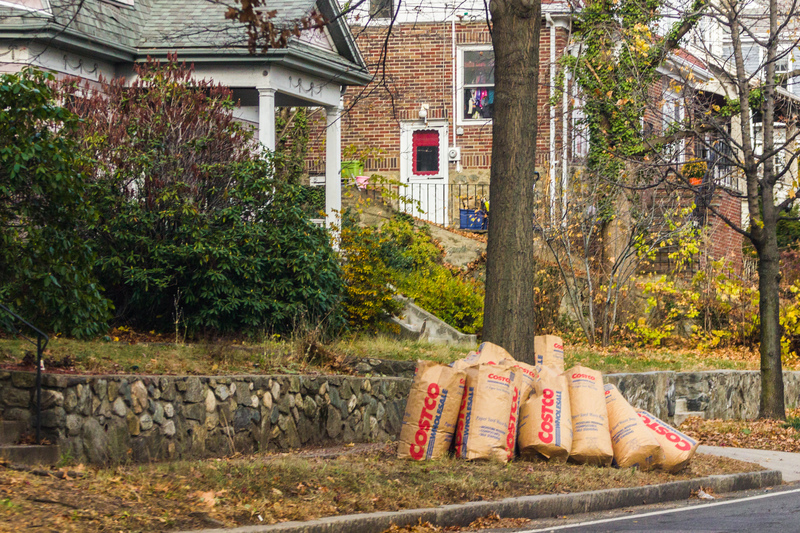 Hopefully what is the last of the leaves packed away into bags and awaiting curbside pickup. 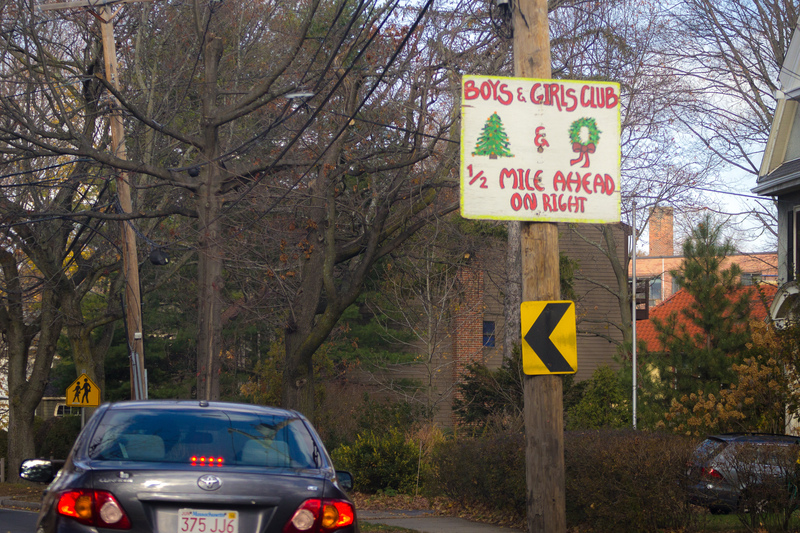 Ever closer to Christmas trees along Pleasant Street. 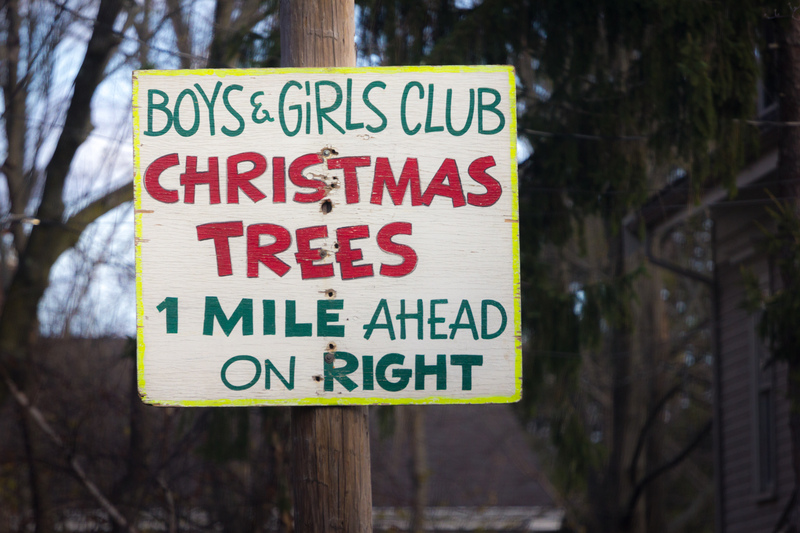 A sign advertising Christmas Trees seen on Thanksgiving Day. 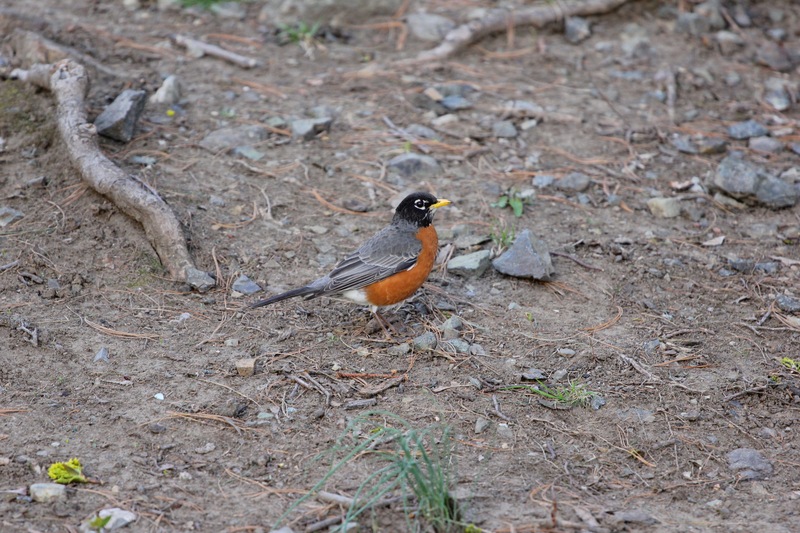 A bird caught hopping around the grounds of the Whittemore-Robbins house. 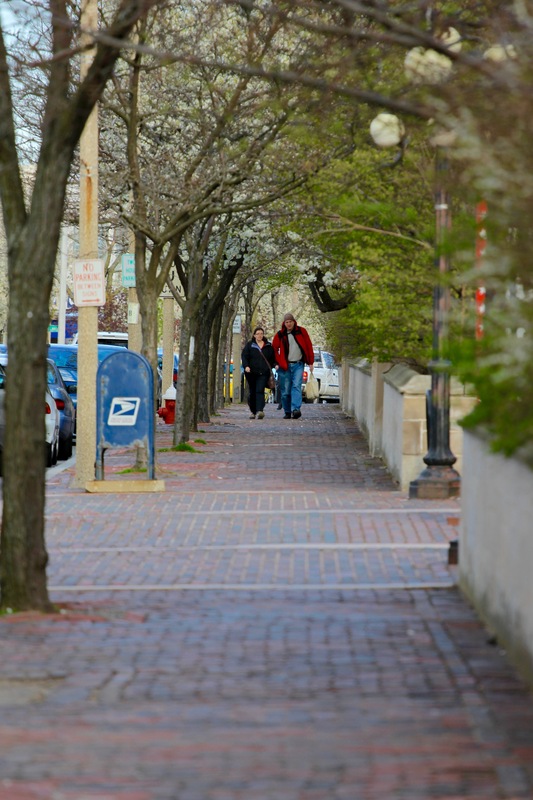 A couple walks down Massachusetts Avenue along the wall of the Winfield Robbins Memorial Garden.